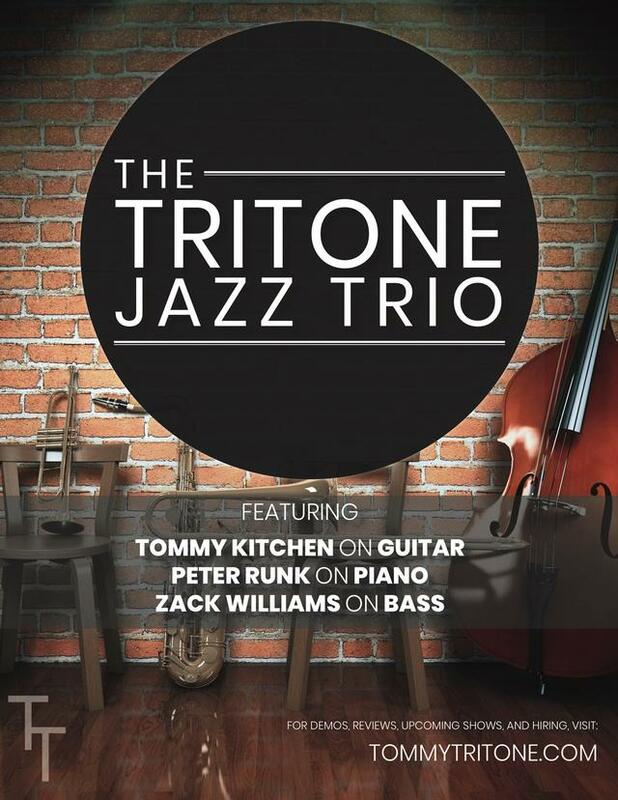 The Tritone Jazz Trio is a group of enthusiastic jazz musicians who perform in and around the metropolitan area. As jazz artists and aficionados, the trio loooves to swing. It's not uncommon to hear a sprinkling of Latin rhythms, or some tight BeBop phrases, but the trio always keeps it in the groove. Please visit tommytritone.com for demos, reviews, upcoming performances, and information about hiring the band. We look forward to sharing music with you.